Each year, the Eno Future Leaders Development Conference (LDC) gives twenty of the nation’s strongest graduate students in the transportation field, those with potential to become national-level leaders in the field, a first-hand look at how national transportation policies are developed. Students apply to the program early in the year, and those selected as “Eno Fellows” come to Washington, DC for a week in the spring of meetings with federal officials and leaders of business and non-profit organizations. At the University of Washington, PacTrans hosts an internal competition where advisors can nominate top students for this highly competitive program. Once the transportation faculty identify a student finalist, that student is then submitted to the Eno Future Leaders Development Conference. 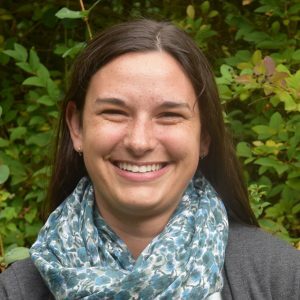 This year, the UW selected Graduate Student Research, Elyse O’Callaghan Lewis, a PhD candidate working under Dr. Don MacKenzie. Ms. O’Callaghan Lewis has since been selected as one of the twenty students who will have the opportunity to attend the Future Leaders Development Conference in May. Her research interests focus on sustainable urban transportation development topics such as human factors related to mode choice, the impact of the shared economy on transportation networks, measures of social equity, and the impact of newly-formalized public transit systems on informal settlement integration in Latin American cities.